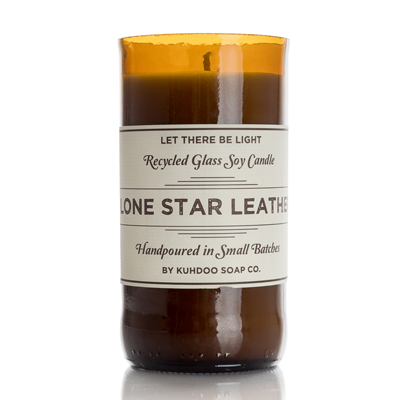 Pumpkin Spice Candle - Kuhdoo Soap Co. This irresistible Pumpkin Spice candle, a fall favorite and best seller, is full of warmth and spice with hints on cinnamon and clove. Poured in a hand-cut and polished recycled beer bottle and filled with natural soy wax, each candle is truly handcrafted and one of a kind! All wicks are cotton, lead free, and the burn time is approximately 40 hours. 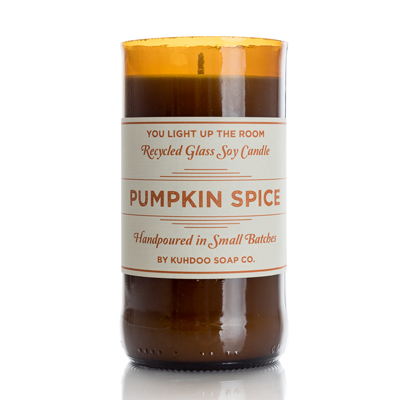 It’s fall y’all and this candle is everything Pumpkin Spice should be! 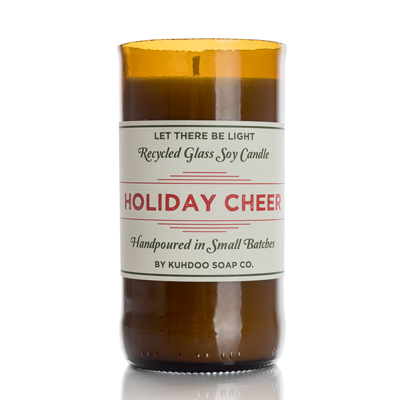 Soy wax and fragrance oil.